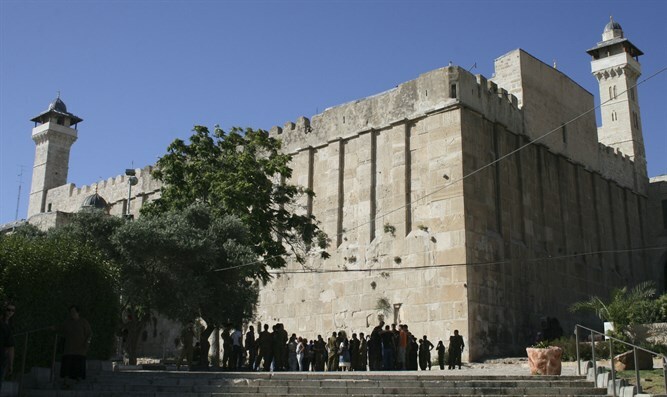 Former Minister and Likud member Gideon Sa'ar responded in an interview with Arutz Sheva to the declaration by UNESCO that the Cave of the Patriarchs and Rachel's Tomb are "an integral part of the Occupied Palestinian territory." Sa'ar explained that this is a unilateral and unwise decision by UNESCO: "It is blatant anti-Israeli organization, of course. This decision is in line with previous decisions, and it actually denies our rights here in a country that is anchored back from the beginning of Genesis." "Instead of dealing with this decision only on the political, public relations and diplomatic levels, we can take a number of steps in the field that will prove that we are the owners of the Cave of the Patriarchs and will solve some acute problems," Sa'ar said. "It is very important to renew the project that I initiated and was led by the Minister of Education to bring the students of Israel to the Cave of the Patriarchs and the Jewish settlement in Hevron, to our roots, to the place where we arose as a people. This is of extraordinary importance. I am sorry that the education minister after Shai Piron stopped this and I think that this should be renewed, and I also call upon the current Minister of Education, Naftali Bennet, to renew this important move. According to Sa'ar, the Cave of the Patriarchs should also be made wheelchair accessible, which will help Jews and Muslims alike. "There are many absurdities in the Cave of the Patriarchs that we do not correct due to the difficulties posed by the Muslim Waqf. It is unlikely that there not will be access to the Cave of the Patriarchs for the disabled. I think that there will be a wheelchair lift at the Cave f the Patriarchs that will serve not only Jews but Muslims as well. It is a necessity." "In addition to this, the conditions in the Yitzhak Auditorium, a hall where the Jewish public comes to pray and which has has no roofing, are difficult during the summer days and even more during the winter. I think it's time [to make an addition to the building]. This is a series of simple trivial actions that will convey the message much more strongly than words." Sa'ar, who is touring the country on his return to political life, described the warm reactions he received. "I appear a lot throughout the country, receive sympathy and joy in my return to public activity, and hope to receive the trust of my colleagues in the movement when I run for a place on the Likud list for the 21st Knesset, as I did four times before." On the other hand, the former minister calls for more resolute action to solve the issue of the illegal infiltrators. "Unfortunately, in recent months there has been a standstill, the government has done well to resolve the status of most of the infiltrators who live in Israel. But the momentum has to be renewed. The most important step in my opinion today is that it is possible to abolish the collective protection enjoyed by Eritrean nationals in Israel. This is also common in the democratic world, such as in Switzerland, and I am convinced that if we take a few additional steps it will work." "We have to reopen the detention facility in Holon, which I believe was a mistake to close. We have to enforce the deposit law and implement a point-of-point resolution that Minister Kahlon and his party agreed to take the same steps that I enacted as interior minister at the end of 2013. The returning and renewing the exit of infiltrators from here and this is important to us and to our future as a Jewish state."